† Date of issue, where not 1884. ‡ Gibbons  distinguishes more colours/shades than Scott  and the colour descriptions vary widely, so it can be difficult to match some of the values, particularly the 100 reis. It is fair to say that the Scott  listing is the worst dog's breakfast yet encountered, and Gibbons  little better. Macao comprises a peninsular west of Hong Kong and two small islands, a total of around six square miles. It had been a Portuguese trading post since C16th and later a missionary base. The land was rented from China, though Portuguese authority was no recognised until 1887. 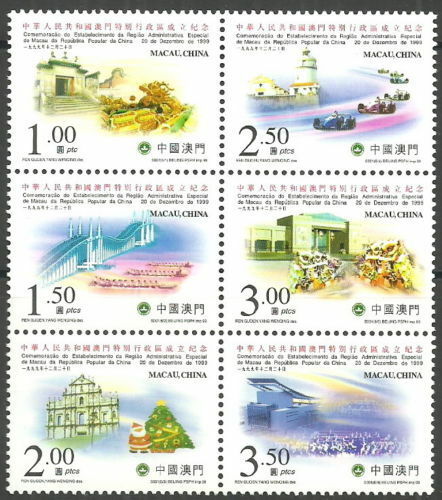 A postal service was provided via Hong Kong from 1863 to 1884, when the colony issued its own stamps. 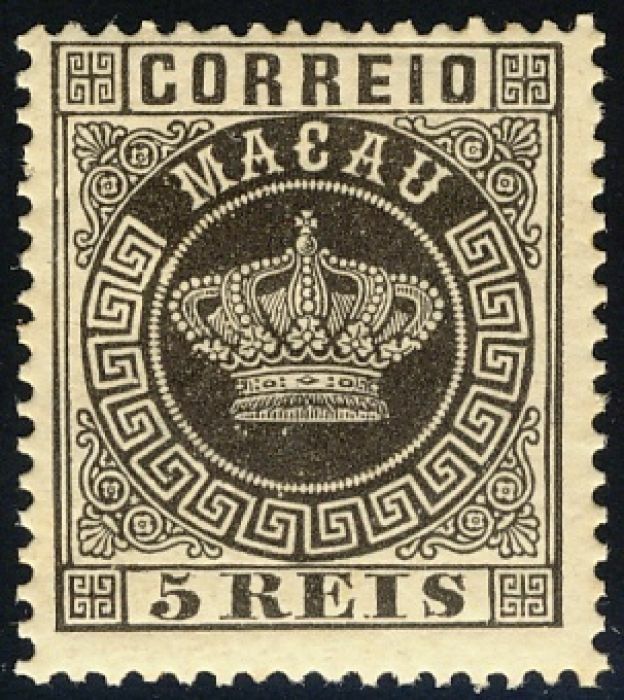 On 11th June 1951 Macao became a Portuguese overseas province and in February 1976 it was given autonomy, while still subject to the Portuguese constitution: neither event seems to have been celebrated in stamps. 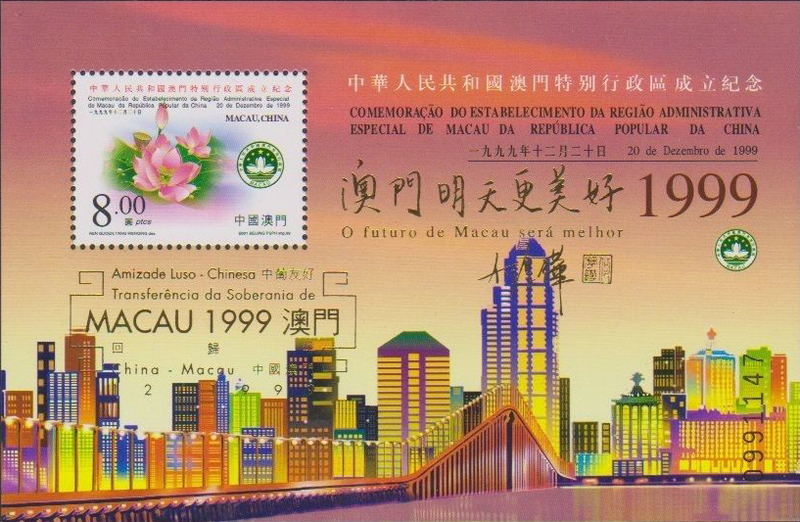 More recently, Wikipedia states that "Sovereignty over Macau was transferred to China on 20 December 1999. The Joint Declaration on the Question of Macau and Macau Basic Law stipulate that Macau operate with a high degree of autonomy until at least 2049, fifty years after the transfer". 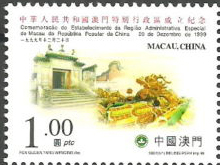 Its formal title is the Macao Special Administrative Region of the People's Republic of China. Wikipedia further notes that "Macau is among the world's richest regions, and as of 2015 its GDP per capita by purchasing power parity is higher than that of any country in the world, according to the World Bank ". Sources: ScC , SGP9 .